Salesforce.com has delivered an identity product designed to let enterprises consolidate user authentication and application access control on a single tool. Called Salesforce Identity, the cloud application was announced little over a year ago and released on Tuesday. It will be available for customers with Enterprise and Unlimited Edition licenses for several of the vendor's products, including Sales Cloud, Service Cloud and Salesforce Communities, as well as for customers of the Force.com platform as a service. With Salesforce Identity, the company wants to simplify for IT administrators the process of provisioning and managing their companies' collection of mobile, cloud and on-premises applications, which in many enterprises is growing in size and diversity. The tool will allow IT departments to manage "any app on any device" for employees, customers and partners, according to Salesforce.com, which said the Sierra Club will use the product in online communities for its more than 2 million members. Salesforce Identity gives administrators directory services, user profile management, usage reports and dashboards and multi-factor authentication, while features for end users include single sign-on. 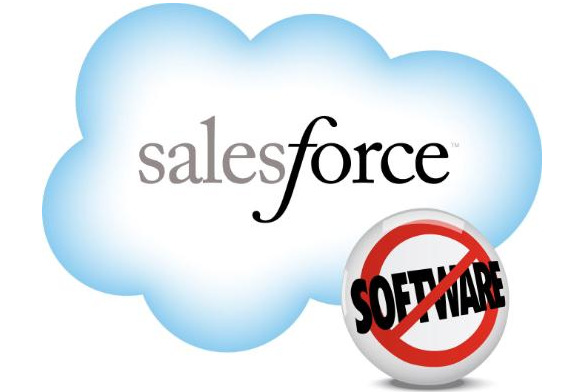 "Salesforce is making good on what they announced last year. They are offering identity and access management services that are interwoven with services that lines-of-business crave," said Gartner analyst Ian Glazer. The launch of Salesforce Identity represents "a fundamental change" in the identity and access management market, according to Glazer. "Non-traditional identity companies such as Salesforce are aggressively entering the market with hopes of major disruption," he said via email. The product will compete against identity and access management wares from traditional big vendors like Oracle, IBM and CA, smaller, niche players like Ping, Okta and OneLogin, and other cloud platform vendors like Microsoft with Azure, Glazer said. Salesforce Identity will cost $5 per user per month. For an additional dollar per user per month customers get the ability to link the product with existing identity directories and includes a native connector for Active Directory provisioning and single sign-on.